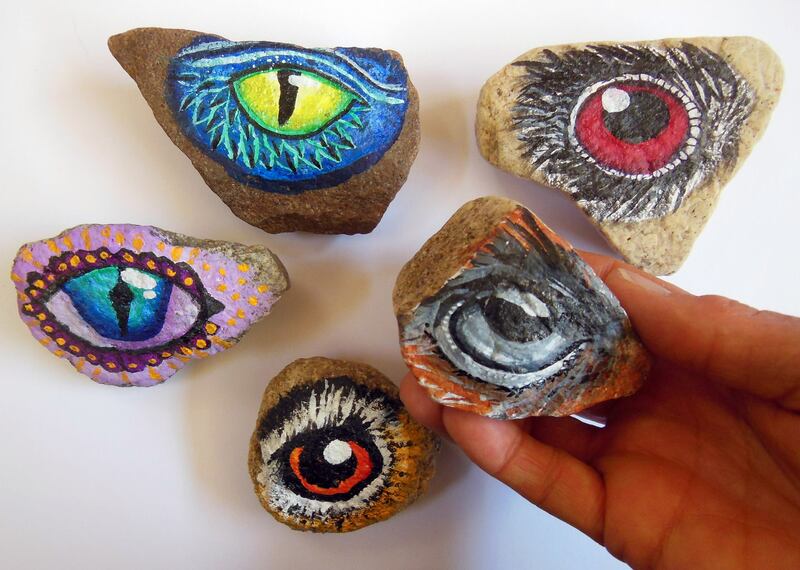 Prepare your rock and then learn a simple way to draw and paint an eye. The process can apply to any eye, real or fantasy. We will paint bird and dragon eyes for the class and then you can experiment at home with other types of eyes. Why paint an eye on a rock? Why not!! Paints and brushes supplied but if you prefer your own equipment please bring them. Bring a clean rock, about palm size or bigger, with at least one smooth face. There will be rocks supplied but your own rock is better if you have something special.